The introduction of the latter brims with wit and sinewy earthiness, being, in fact, a hybrid of both the very sharp dowager and her inconsistent servant, Frid. Thereby, the first step, of the erratic Parisian phenomenologist-oldster, involves him being smacked by a blonde girlfriend who has parked her car outside his eccentric Belle Epoque cabin, which could be a windmill without the sails. His howl from the slap brings to mind Frid’s new girlfriend, Petra, as inured to smashes as a linebacker. Even before this conflict, we have a glimpse of the Eiffel Tower, flickering out lasers like the whirling motions of a windmill, and thereby implying a visitation from a distant past. The driver, now saddened, follows up with, “We’ll never see each other again?” (This being a frequent situation in the preceding actions.) The avatar of good relations makes the chilly reply, “I don’t think so.” Her sad face in close-up reanimates Petra’s lament to Frid, “Why have I never been a young lover? Can you tell me that?” And it also reanimates Frid’s reply: “We are denied the love of loving. We don’t have the gift… Nor the punishment.” The new Frid, on departing the car, asks himself, “How could I have believed in her?” Petra and Frid head for a tempered marriage. The marriages of the dowager appear to have been even less than that. The difficulty of specifying where Isabelle’s heart lies remains to be explored. The day after the unbelieved, who but our protagonist, checks into the precinct of happiness, after many avenues of disbelief. Like Frid, his distant kin, the clinician may be more than a bit cavalier, but his seasick sliding accommodates the relentless dilemma of doing justice to and also circumventing a cast of characters hard to believe having a faculty of mood. (In the flow of her misadventures, there are frequent sources of solo and trio jazz touches which no one pays any attention to.) In close-up, they sit across a table without light, their shadowy presence apt for the paradox which humbles them at every move. In a register hoping for the look of expertise (sprinkling jargon like, “transactionally”), he begins with, “The first thing is not to pick up emotional interference… I see you manifesting artistic work. [No doubt disclosed in the appointment.] We’ll have to explore that later, to see if these elements speak to you.” (Isabelle, in a tone implying having already settled that topic, declares, “I’m an artist. It’s my life. 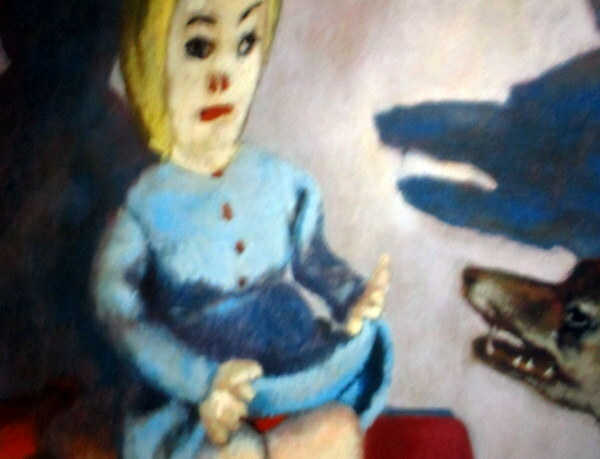 The question is my emotional experience.” [Since when does emotion not figure in art? What she means by “emotional” is matrimony—the territory of housemaid, Petra. This turn has sent Isabelle into tears.]) Moving on, she alludes to “another person,” recently coming into her life. He sees that this matter is, for her, “a little devastating.” To which she cries out, “You have to help, because I don’t know…” In one of the supposed seer’s frequent gaffes, he jazzes things up, with, “He could be on the borderline. You attract them.” She matches his hasty busywork, by her immature wish-list, “I don’t lose him entirely? Yes, he was very fulfilling.” The medium counters with, “I don’t know the man. He may see things differently. He’ll try to make contact again. But you’ll have to be careful of mood swings… He goes off easily… You’re going to see him again.” (This elicits from Isabelle one of her movie-star, incandescent smiles, the facility for such presences leaving the viewer confused.) “At that moment of affection, I suggest that you shut the door, re-set the table Then she pushes more buttons, seeing that the session could come down to an all-you-can-eat banquet. Referring to a very low-key museum director, far removed from any borderline and its excitements, she inadvertently prompts the fortune teller to the fantasy of her helping the timid admirer, “to go to the other side…” He adds, “I don’t think he’s the love of your life” [an instance of the incoherence infuriating his no-longer-lover, as per, “And at the same time, no…” Then he counsels, “Be in position to meet other people.” Her response shows her too timid to venture. “I won’t lose him?” she prompts. “He’ll come back,” the businessman assures, adding, “Don’t get yourself in a stew. He’s a trap. Kill two birds with one stone…” As if you didn’t know at this point, that Isabelle is a horse that never left the post, her being delivered to this final idea—and liking it—takes her out of the running of the “love of loving” and its “punishment”: “Tend to what matters most: yourself.” Someone in this saga does relight the disinterested. energies of the oracle and Frid. And that figure redefines “punishment” for our ever- so- smart times. That latter cliché stands in provocative contrast to the cinematic root-systems by which it fails to thrive. The limp, aimless notion of rallying has been preceded by serious emotive traction in the films by Bergman, as we have noted with particular concern for functionaries in his, Smiles of a Summer Night. Frid and Petra, in the midst of a midnight sun evoking mysteries you don’t see when wrapped up in intrigue, touch us not by their beer-driven blitheness, but their earthy sense of being unable to be the creatures they are. (We’ll see Isabelle spit out in dry fashion, “Is this my life?”) As we have just come to notice its shock, the industry of medicating a status of unsatisfying playmates is a bogus, effete travesty of love in the absence of another agency, namely, nature itself, crucially informing and being informed by us. The other unearthly probe in that long-ago illumination is that of the seldom-seen dowager, as if evading a deadly plague. Her motto, “I am tired of people. But that doesn’t stop me loving them,” is facilitated by her fortune and remote estate. Bergman has brought her to light as a flawed genius, eliciting a gusto too much for her, and him. And Denis has stepped up to the plate—just in time—to suggest finding in a form of hand-to-and combat the way of love of loving and tempering punishment. Her film, White Material, has wakened the sensual logic which graces The Seventh Seal, pertaining to acrobatics and “impossible” juggling, whereby film or a trace of film, becomes, at essence, dance, or circus. Her film today more incisively faces up to the remarkable odds which that weaponry somehow has to deploy. The film is called, Let the Sunshine In, presumably the destiny of a “vulnerable,” Isabelle. (As such, her lament, “It’s like my love life is behind me,” defines her, in an ominous light.) As it happens, the sunshine in question is the creation of the one she has decided she can’t “admire.” That our protagonist and her milieu are bogus is self-evident, and not that remarkable. But that the only credible creative force in sight is a rural laborer, stops us dead in our tracks. The Bergman film, set around the year 1900, showed marginal, but in one instance, influential, lucidity. As with the recent Coens’ film, The Ballad of Buster Scruggs (2018), the ominous superficiality of dominant, “educated” pace-setters (Isabelle becoming a life-long client of a lost graduate of something) represents a new crisis. The nameless exponent of “At Last” needs some love here, and here’s the way to deliver it. That frisson on the dance floor nukes 3000 years of timorous fakery. Staying the course of those other (circus) laborers, Jof and Marie, from the medieval saga, The Seventh Seal, there is not only acrobatics on the menu, but juggling amidst the generally perverse. It isn’t easy. But love helps a lot. Yes indeed Jim, the great Ms. Denis knows her Bergman well, and I’ve myself made that connection for years. There is a touch of that Scandinavian aloofness woven in this intricate comedy-drama, but also the relationship fluidity one associates with certain aspects of French culture in diametric opposition to the American one which is defined by rigid borders. Yet another marvelous performance by Juliette Binoche in this dialogue-laden and unsentimental examination of the numerous affairs of a woman who is unable to sort out permanence. A brief appearance of her ten-year child with one is meant to show that even this was unplanned. This exemplary work is intricate and spare in the Denis style and more complex than such a film would ordinarily be. Again you have penned an essay of intellectual distinction connecting the dots in this quietly enveloping film. As you say, this madcap stream of dating and taking dubious advice gains immeasurably by the phantom predecessor. You’d have to say her strategy reflects concern about a problematic, extant for quite a while, which has not been adequately engaged; and reoccurs now in hopes that a more rigorous moment will convene. This matrix especially brings to bear the issue of Denis’ rigor being beyond question, and yet being less impressive in the area of gentle, deep wit, in which Bergman is a genius. After posting The Magician and Wild Strawberries, we’ll visit her film, The Intruder! Fascinating Ingmar Bergman references in this terrific review! 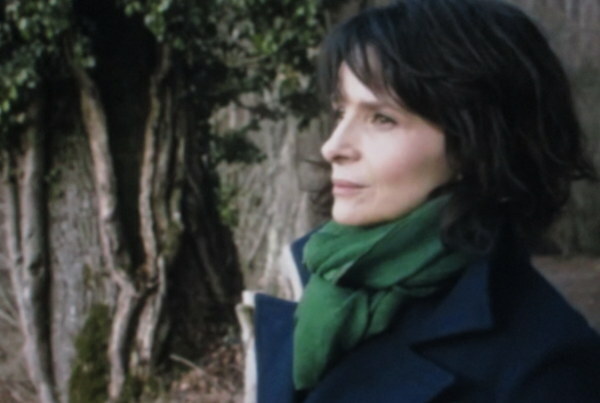 I love the film, and am always enthralled with Juliette Binoche, who here is multi-faceted. Claire Denis is haunting, in the same mode that Abbas Kiarostami is haunting. 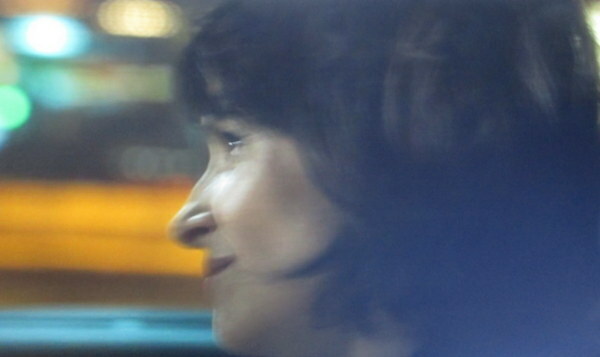 And Juliette Binoche has worked with both of them, in brilliantly facing the bewilderment and fire of contemporary life. Long ago, there was the tag-line, movies are better than ever! With a force like Bergman still echoing, movies can indeed be magic! I actually do see a tonal and contextual association between Bergman and Denis, particular in White Material. But this new films is excellent and this review really pares it down in a fascinating and insightful manner. Thanks, Peter, for carefully considering a remarkable leverage at the heart of a brilliant filmmaker of our time. Coming up in a few weeks, her film, The Intruder, gives us perhaps her masterpiece, her mastery of not only Bergman but also Antonioni!